Maxwell is just a week away from starting school. Over the holidays, we were lucky enough to not only review some fantastic clothing from Lidl, MandM Direct and Morrisons but we also went shopping for our school essentials. Over the past few weeks I have learnt a lot about shopping for school items on a budget. 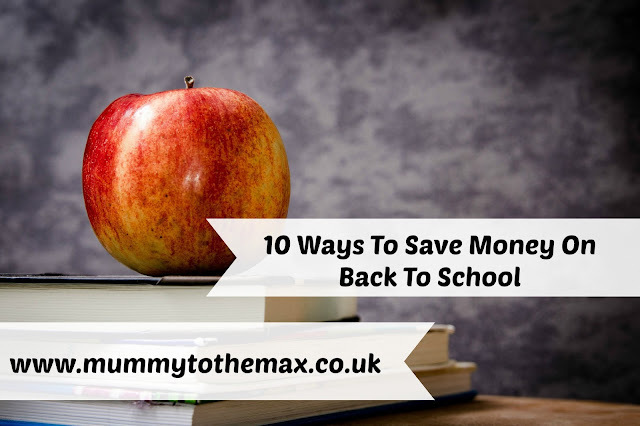 Here are my top 10 tips on how to save money on back to school. Shop around, feel the quality of the clothing. Don't buy cheap if it is not good quality. This is one of my favourite top tips. Had I bought all my uniform from the cheapest place possible, Maxwell would not be a happy little boy when starting school. I found that some of the cheaper uniforms on the market irritated Maxwell's skin and were quite itchy on him. I found that some of the trousers did not fit well on Maxwell and I found that some of the shoes would not last him 5 minutes. When buying uniform, I always check the stitching on items. If the stitching is shoddy, I do not expect the uniform to last long at all. Take advantage of the free clubs after school - school clubs are as great as paid ones. When Maxwell starts school, I will be looking at putting him into after school club. Maxwell has shown a keen interest in football and a few weeks ago he asked if he could go to football club. Maxwell already does swimming outside of school which we pay for however I am looking at getting him enrolled at football club at school. I think involving him in an after school club will help him make new friends and improve his confidence and of course, after school clubs tend to be cheaper than clubs outside of school. Buy from a shop that offers a guarantee on their uniform. If a place doesn't offer any guarantee, why not? Did you know that many supermarkets offer a brand guarantee on their school uniform. This means that if the uniform fails to live up to your expectation, you can take it back to the shop and ask for a full refund in the time period that the supermarket allows. Morrisons offer a whopping 200 days guarantee which really is fantastic. It makes me happy to know that if any rips or damage occur to the uniform, I am able to return it without any fuss. Write a shopping list and stick to it! You do not need to over buy. Whilst shopping for back to school items, I wrote a shopping list which I stuck to. Sticking to a shopping list has saved me money and I have not managed to overbuy. Previously for preschool I managed to overbuy and I ended up wasting quite a few pounds on stuff Maxwell did not need. Planning is key when it comes to back to school items. Always tag uniform. If it gets lost it is easier to hand back to its owner. Maxwell is prone to losing items now and again. I would hate for his uniform to go missing at the start of the term, especially when I spent a lot of money on certain items. If his property does go missing, I am now less worried about it due to the fact all his property is now name tagged. We purchased our name tags from Amazon which I found were very cheap. Every item that Maxwell takes to school is now name tagged and I am hopeful that if something goes missing, it will be returned to him. Take advantage of local libraries. Need a revision book or books to read for school? Borrow them! Often Maxwell comes home from preschool and tells me he has enjoyed reading a certain book. More often than not, we purchase the book for Maxwell over on Amazon or sometimes hunt in charity shops for the particular book Maxwell is keen to read however to save money, we now also visit our local libraries. Our local libraries, let us rent out a number of books for a short period of time for free. Not only does this save us money, it is also great fun to hunt new books down for us to enjoy and read together. If your child is entitled to free school meals, take advantage of them.There is nothing like a hot meal in your childrens tummies. 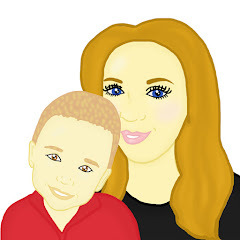 Maxwell is a fussy eater however over the first few weeks of school, I will be encouraging Maxwell to eat school meals. Maxwell will get free school meals until he is in year 2 and I really like the thought of Maxwell eating a warm dinner in the Autumn and Winter terms. In the summer, I am happy for Maxwell to take packed lunches however I hope by encouraging him to eat school meals, he will learn and enjoy lots of new foods. Remember to stock up on cheap uniform and school supplies as it goes into the sale. Over the next few weeks, supermarkets and online outlets will start to drop the price of their back to school goodies to make room for stock such as Halloween and Christmas goodies. Often to make this space, companies will reduce the price of the back to school items to entice people to buy them. I am looking forward to the back to school items going into the sale as I will be looking at stocking up on school items for Maxwell to return back to school next year and I will also be looking for spare uniform for him to wear this year. Make sure you use cashback sites when buying stuff online. I love saving money. I use cashback sites regularly when shopping and over the course of 2 years, I have managed to get over £320 back on my shopping which is a great amount. When shopping for uniform, I checked to see if I was able to take advantage of any cashback deals and I really tried to make the most of them. I use 2 cashback sites which are Topcashback and Quidco. Is your child under 5? See if they are entitled to free milk. When Maxwell starts school, he will be under 5 which means he is entitled to free milk. This makes me particularly happy. Throughout preschool, Maxwell really enjoyed drinking milk so it is great to see that over the first few months of school, Maxwell will still be able to enjoy it. If Maxwell wants to continue to drink milk after his 5th Birthday, I am more than happy to pay for it however I am extremely pleased and thankful that we are able to have it for free until then.